Who can and will help me? Will someone understand my circumstances and needs? Can I trust the insurance adjuster to do the right thing and provide me proper compensation? Is there someone I can trust to have my best interest as their highest priority? Who has the experience, knowledge and tenacity to be my advocate against the insurance companies? You are not alone in asking these questions. So many who have suffered from accidents and injuries have wondered where to turn to for answers. Following an accident or injury, the person to turn to for help with your claim is an experienced personal injury attorney. 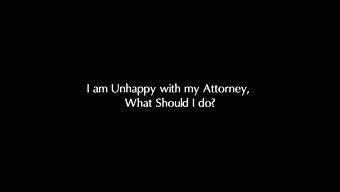 However, not all attorneys or law firms are the same, so you need to find the right law firm with the right experience and the proper temperament for your case. You need to find a law firm that can answer your questions, that is easily accessible to you, that you feel has your best interest at the forefront of their efforts and that you can rely upon to direct you towards the best recovery for your case and your circumstances. 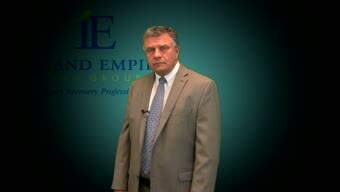 You need personal injury attorney David Ricks and the Inland Empire Law Group. We are committed to partnering with you to find a just resolution to your case and return stability and financial security back to your family. Located in Rancho Cucamonga, California, and serving the surrounding Inland Empire and High Desert areas, we pride ourselves on giving each of our clients the individual time and attention necessary and to that which they are entitled. Each case we take at the Inland Empire Law Group is assigned an experienced and knowledgeable team consisting of a seasoned personal injury attorney, a paralegal, and an administrative assistant. This team will work together with you to collect relevant evidence, build your case, and work toward a viable solution. Unlike other firms in metropolitan areas that may remove the client from the process and discourage questioning, we believe you should be fully involved and informed throughout your case. After nearly three decades of service to the Inland Empire, this approach to the law has won the respect of local judges as well as hundreds of area residents—and our straightforward, honest approach paired with our ongoing community involvement has solidified that reputation. In the end, we simply want to serve the community we care about. No matter how we try to protect our families, accidents happen every day in California. If you or a loved one is seriously injured due to someone else's negligence, despite your best efforts for safety, you can still be certain that your rights will be protected in the wake of the accident with the Inland Empire Law Group on your side. Contact us today to learn more about your case. If you live in San Bernardino or Riverside County or the surrounding area and have been injured in an accident, you should speak with a personal injury attorney about the details of your case. Even if you aren't sure if you have a case or even if a lawyer can help you, a free, confidential, no-obligation consultation with the Inland Empire Law Group can answer your questions and give you confidence that you explored all of your options in the wake of your accident. Call us today at 909-481-0100 or fill out the form on this page for more information. We look forward to the opportunity to bring peace back to your life and help you on your road to recovery. 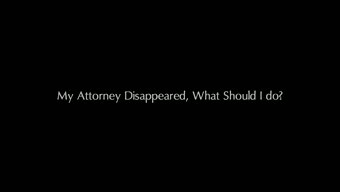 My Attorney Disappeared, What Should I do? | Upland Personal Injury Attorney You hired an attorney to handle your personal injury case, and that attorney disappears. What should you do? 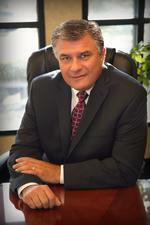 Personal injury David Ricks explains what you should do in this situation. What Is Full Insurance Coverage? What is full insurance coverage? How much insurance coverage should you have to protect yourself in case you are involved in an auto accident? I absolutely recommend this law group.Katie B.
I would definitely recommended them to others in need of expert service!Tina M.
I would like to thank everyone at David H. Ricks & Associates/ Inland Empire Law group for their kindness and promptness in my case.Tammy H.
I found Inland Empire Law Group through a simple search and chose to reach out to them once seeing their high client reviews.Andrea D.
"I would definitely recommend this office for your case! "Stacy M.
Experienced personal injury, wrongful death, and Medical Malpractice attorney in the Rancho Cucamonga and surrounding communities.